An analytical approach to position your business for optimal growth. Combining the latest strategies with the most proven, our firm is dedicated to bringing you long term growth and enhanced visibility with our industry leading marketing services. Awesome experience working with this SEO company. They were able to rank our landscape service #1 in Boca! Thank you for the awesome website and bringing us quality leads. anyone looking to do more business needs to call these guys up! Our sales are up 80% from what they were last year at this time, and I know without a doubt that's in part to the SEO services we are getting from Matthew! So often, people tell us "oh, I just googled spas in Youngstown, and you came up"! Such an improvement from last year! Looking forward to a highly successful 2019!!! DO I NEED SEO FOR MY BUSINESS? Search Engine Optimization | Your website deserves a lot more attention than you are currently getting. That is, if you haven’t been optimizing your site for search engines. If a person has never been to your business yet, then why would they type in your name when looking for the service you offer? Most people get connected to services nowadays from their smart phones. By using Google, users have quickly realized that they can let the algorithm choose for them when searching for a company that is known as being the best. What if we can simply place your company in this position? The moment that someone decides that they need a certain service, they will likely search for it on Google to find what the best company for it would be. Let us place your company in this spot, so that you can get the best chance at landing the most new clients out of your niche. right in front of a lot of peoples’ screens. This is a valuable form of advertising but only if you provide useful content. Why not have a dedicated team handle this for you? It can take up a lot of time to keep up with social media accounts. Americans stare at all day long. HOW CAN I IMPROVE MY REVIEW RATINGS? If you aren’t addressing customer feedback from the start, it can be tough to catch up once your rate falls. When users see too many 1-star reviews they can very well just ignore you without even clicking on your site. It may seem like reviews don’t matter at first, but trust us when we say that it is better to manage it before it gets too late. With our help you can learn how to reach these clients and communicate with them at a level where they understand how much hard work you are putting in to satisfy your clients. Click Here for Our PDF Guide. At SPO, we take pride in the fact that we don't use contracts for our clients. This means that if it doesn't work out and you don't see your business increase in Google search rankings, then you can stop our service. All we ask is that you give us a 30 day notice ahead of time. HOW CAN SPO MARKET MY BUSINESS BETTER THAN THE REST? Remember that most web designers are not good at SEO. Designing a website does not include any search engine optimization work. If you are looking for someone who can take care of all your online needs, you have found the right firm. When you are busy running your business, it can be hard to keep up with all the trends in key words that your business needs to rank for. We don’t just follow search terms that are currently getting traffic, we analyze market trends to be able to make educated predictions for what your business should be associated with. Search trends online can be very difficult to keep up with because not everyone can dedicate their day to optimizing websites and providing valuable content to be able to rapidly raise the ranking of your business. Who can you count on to handle your SEO when Google decides to switch up their algorithm one day? This can occur sometimes as frequent as every three months. If your website is ranked because of cheap and low quality back links; not only could you lose your ranking, but you could actually be punished for it too. The point behind adjusting the algorithm is to be able to clean up spammy sites. If you have your link placed on a low quality site that has spelling errors and grammatical mistakes, there is a good chance that you will not hold that ranking for very long. 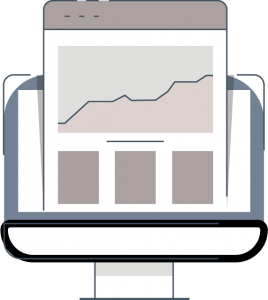 Request a complimentary website audit. HTML Tags, SEO, Content Quality, and Keywords analyzed by our experts.